Using a mere 45W of power, the Image Spot LED projector packs an amazing amount of light output from a versatile and compact design. 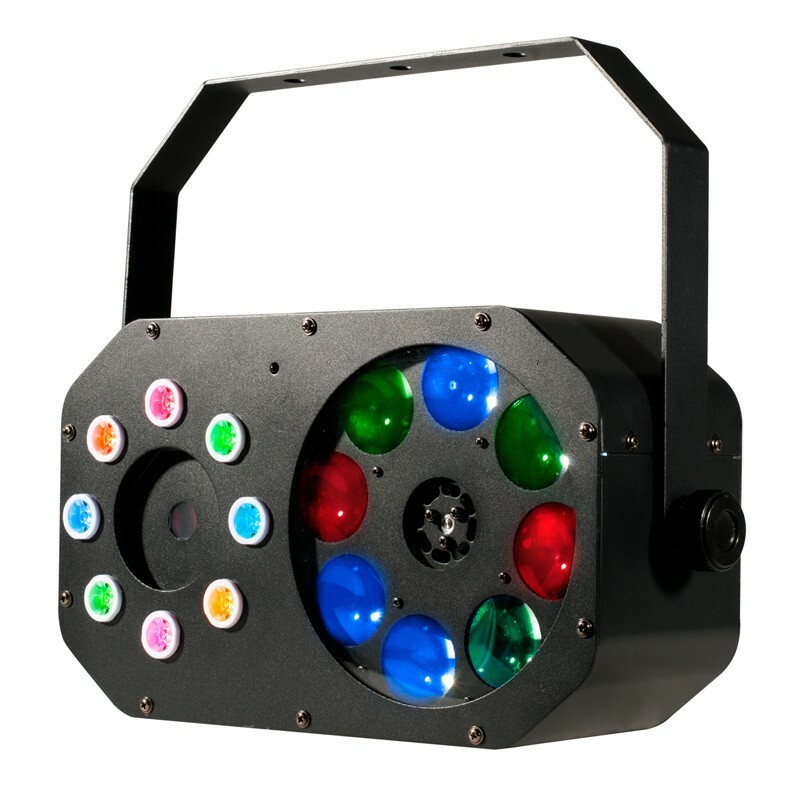 The cool white LEDs and crystal clear optics ensure bright imaging in virtually any environment, and enable vivid gobo projection up to 40 feet (12m) away! Image Spot can also be used to create spot illumination for artwork in museums, accent lighting in hospitality venues or highlight products inside retail displays. In white or black. 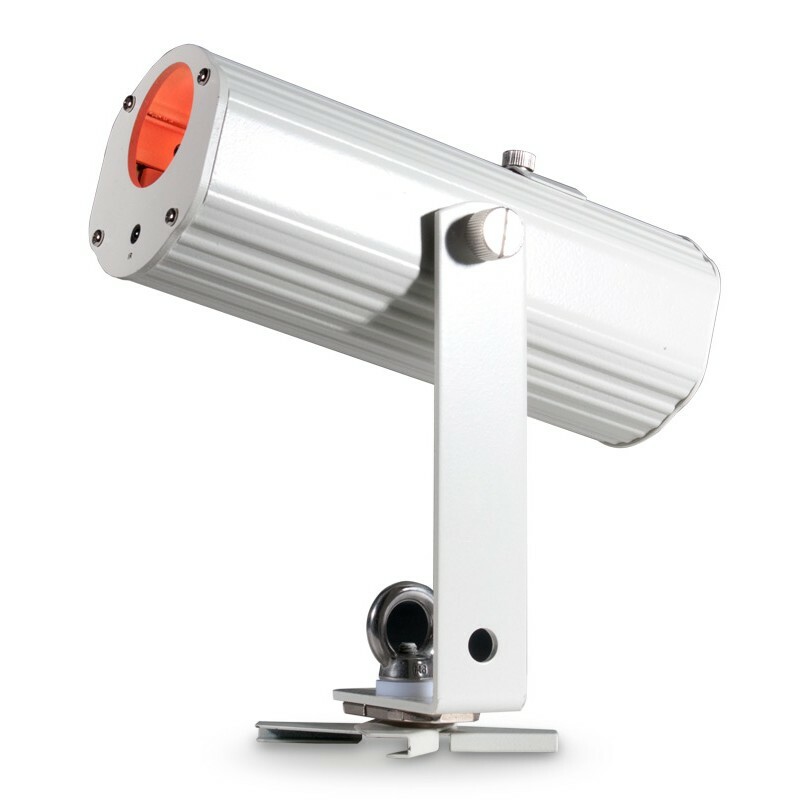 Image Spot is available in both IP40 and IP65 models, allowing it to be used indoors or outdoors. Please note that Image Spot does not ship with a lens. Choose from the available narrow, medium and wide lens accessories when ordering to achieve the imaging or beam spread your project requires. The Image Spot is ready to accept steel, Effects Glass, B&W & color glass gobos, or even our Cool Ink HD plastic gobos for short-term events or promotions. Choose any Rosco pattern – from the world’s largest library of standard gobo patterns – or, project a custom gobo with a specific image, logo or message. The Image Spot gobo cassette also accepts Rosco Permacolor dichroic glass filters for long term color correction or enhancement. 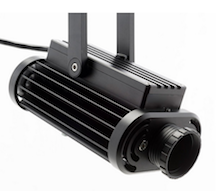 Image Spot’s engineered optics produce a light beam with the highest uniformity and resolution, which enables the fixture to project even illumination or a crisp gobo image at distances up to 40 feet (12m). Available in two different variants – an IP40 model for indoor use and an IP65 model for outdoor use – the Image Spot offers the versatility to create spot-lighting or project gobos everywhere those effects may be required. Many spot illumination applications require the beam to be diffused. The Image Spot offers diffusion integration with its easy-to-access filter chamber at the front of the lens tube. Use this chamber to add diffusion filters from the optional Image Spot OPTI-FLECS Filter Pack accessory, which comes with three diffusion materials that spread and shape the fixture’s beam. 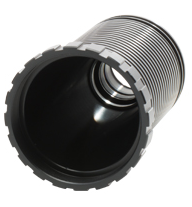 A retaining ring holds the filters securely in place. 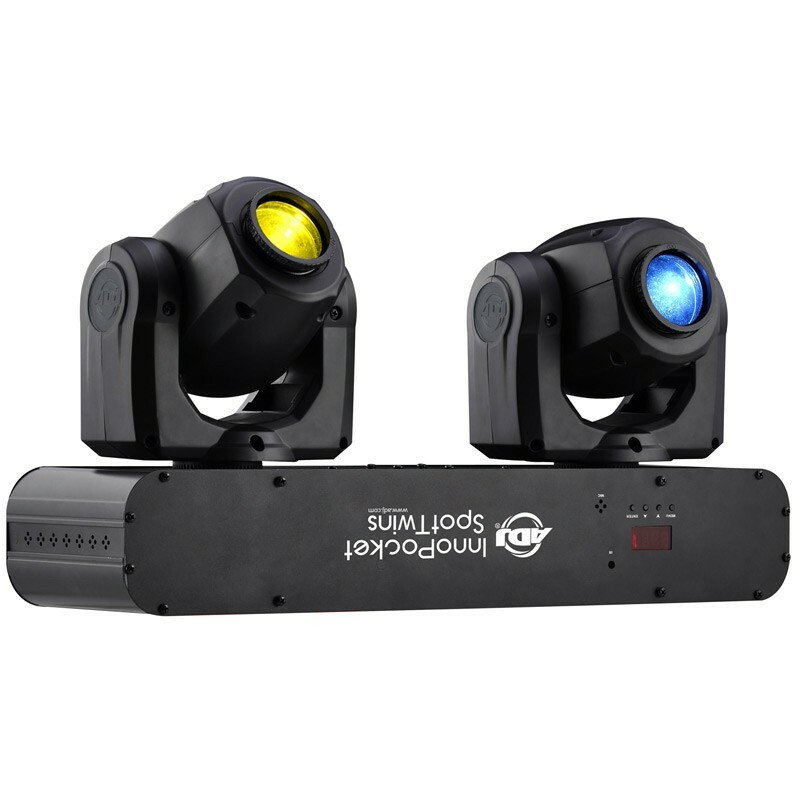 Control the output of the Image Spot using its on-board dimming controls or by connecting the Image Spot to a DMX control device for remote intensity control. The IP40 model connects to DMX via standard RJ45/Cat5 cable, while the IP65 unit connects via an optional, exterior-rated Cat5 cable.